Tonight is the first of four meetings to discuss proposed future transportation projects in Fairfax County. The meeting is at 7pm at Hayfield Secondary School, 7630 Telegraph Road, Alexandria. If you live in the southeast part of the county, primarily the Lee and Mt. Vernon Districts, this is your opportunity to let county officials know that you want better bike facilities. See our earlier blog post about these meetings. There are 200 unfunded projects that the county is considering for funding from approximately $1.2 Billion over six years. 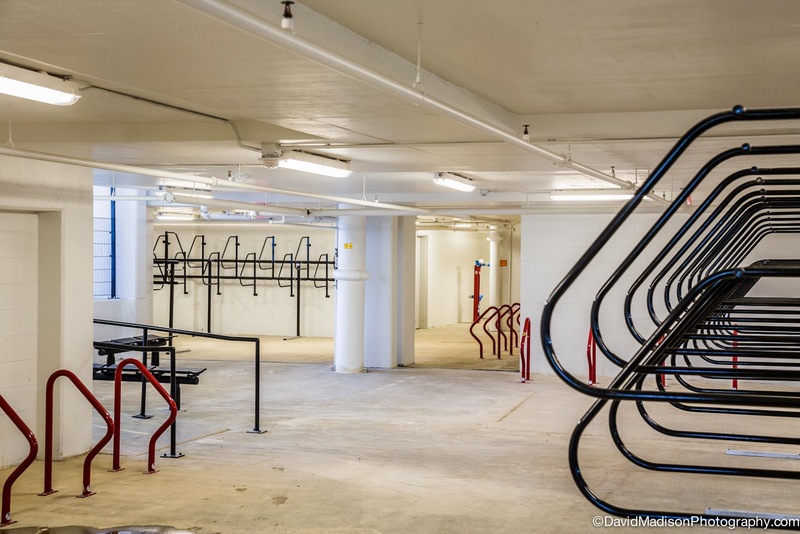 This is a rare time in which there is real money for building a bicycle infrastructure. Below is a list of unfunded bike projects in the Lee and Mt. Vernon Districts. Are these the highest priority projects in those two districts? How do they match with the Bicycle Master Plan project list or the FABB top 14 project list? What projects are not on this list? Are there other lower cost projects that could help provide a safe, connected bicycle network in those districts? If not on this list and not on the funded projects list, ask that a project be added. Examples of a low cost projects include: installing way finding signage on the existing bicycle network; providing bicycle parking throughout the districts. What about bike lanes Huntington Ave and Fort Hunt Road; a better crossing of GW Parkway at Belle View Blvd? Will you be able to bike to the Innovation Center (Route 28) Metrorail station when it opens in 2018? The station is part of Phase 2 of the Dulles Metrorail project. 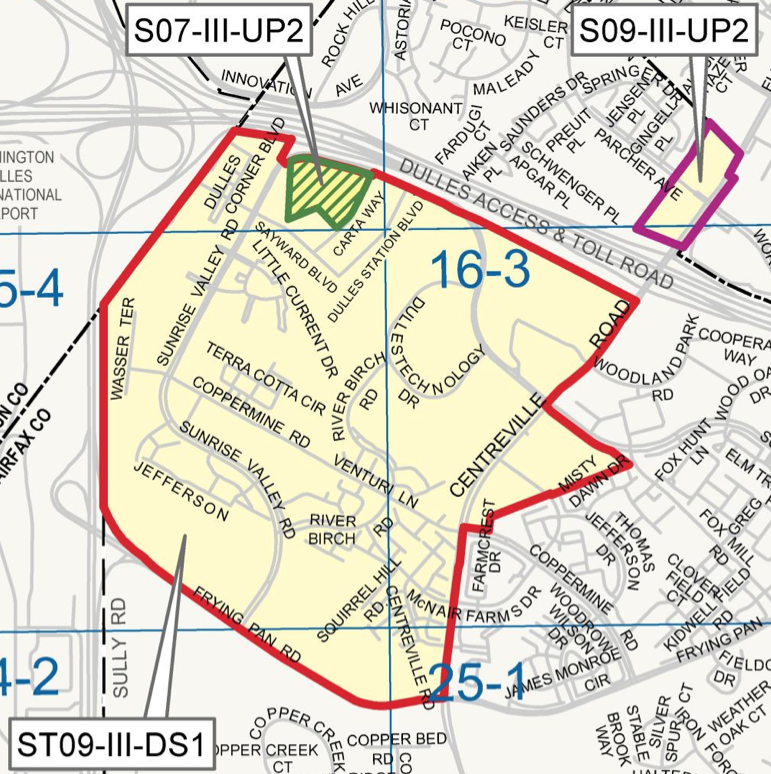 The Fairfax County Planning Commission is holding public hearings on proposed changes to the Comprehensive Plan for areas in the southern station area. Proposed bicycle facilities are contained on page 15 of the staff report. On page 12 is a conceptual street network. It appears that the bike facilities only reference the existing street network, not the planned network. The Route 28 Station - South Study is a planning study to conduct a comprehensive evaluation of the existing Fairfax County Comprehensive Plan and identify appropriate changes to help guide future development in the vicinity of the Route 28/CIT transit station area. 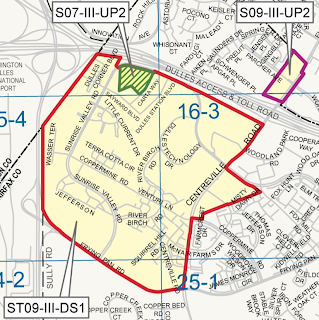 The study is focusing on the land area generally bounded by the Dulles Toll Road to the north and Frying Pan Road to the south, and Sully Road (Route 28) to the west and Centreville Road to the east. The commercial area located to the east of Centreville Road and south of Sunrise Valley Drive also is part of the study area. The Route 28 Station - South Study will update the existing Comprehensive Plan recommendations to ensure support for the County's Transit-Oriented Development (TOD) Policy and that the recommendations support the implementation of rail. This study is a counterpart to the planning activities that are underway for other areas along the Reston-Dulles Corridor including the three Reston area transit stations that are part of the Reston Master Plan Special Study, and the north side of the Route 28/CIT station. The bike room at the Wiehle-Reston East Metrorail station is completed. 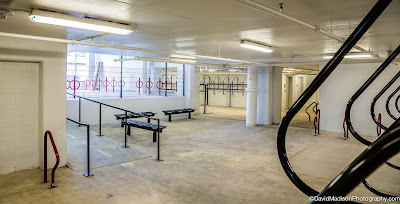 The room will hold over 200 bicycle and contain two small repair stations. There will be an annual fee of $75 to use the room, which works out to around 25 to 30 cents/day vs. $4.75/day for car parking. The room is located in the parking garage on the north side of the station, not far from the W&OD Trail. 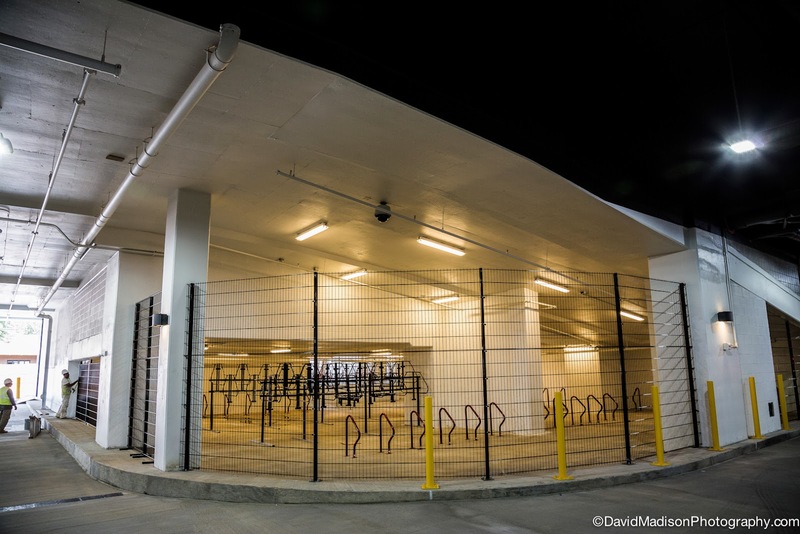 There will also be unsecured parking just outside the bike room and bike racks scattered throughout the plaza in front of the station. 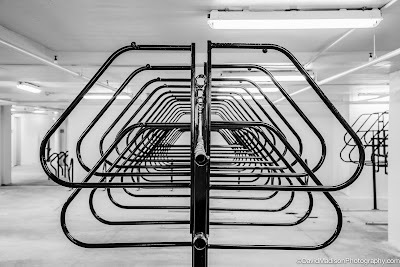 On the south side there is parking for 20 bicycles. Thanks to Maggie Parker of Comstock and photographer David Madison for these photos. I've just been told that we've exceeded our bandwidth allocation for the FABB site for this month. We're looking into what can be done to get the main site back up and running. Please be patient. 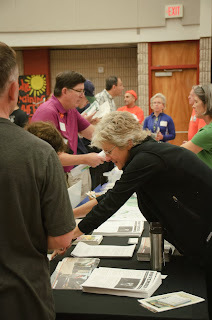 If you are looking for information on the Fairfax Bike Summit, click on the link above "Fairfax Bike Summit agenda" that contains info about the agenda as well as a link to online registration. You can also use the blog to search for information that's been posted to the blog. The blog is hosted on a different server than the main website. Update: We are back up and running. To promote the Fairfax Bike Summit on Nov. 2 FABB will be riding in the Vienna Halloween Parade that starts at 7pm tonight. There will be two bicycle groups in the parade this year. A contigent from bikes@vienna are parade regulars, on recumbents, trikes, folding bikes, and other kinds of bikes. FABB members will be in costume mostly riding upright bikes. Our position in the parade is 63 and bikes@vienna is 57. We have a great list of speakers lined up. for the Summit. It is an opportunity to mingle with other cyclists, public officials, and local politicians, to check out local bike shops and bike groups in the exhibit area, learn about the bicycle master plan, and attend an optional pre-summit advocacy workshop. You can register online. The registration fee includes snacks, coffee, drinks, and lunch. On Oct. 17, the D.C. Council passed the Bicycle Safety Amendment Act of 2013. It was then signed into law by Mayor Vince Gray and will be submitted to Congress for a 30-day legislative review. This is a great victory for bicyclists in D.C. Among the many new provisions in the law, its signature component introduces two new driving infractions with appropriate penalties to protect bicyclists as vulnerable road users. Bicyclists’ use of leading pedestrian intervals: Bicyclists can get the same head start as pedestrians at signalized intersections, where pedestrians are given few extra seconds to start crossing a street. 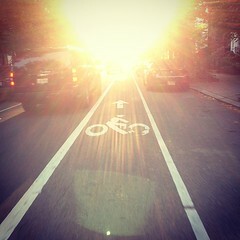 Also allowing bicyclists the opportunity to get into the intersection before cars makes them more visible to drivers. Bicycle and pedestrian detours: The mayor will be able to require permits obtained from the District Department of Transportation for projects that block sidewalks, bike lanes, or other pedestrian or bicycle paths to provide safe accommodations for pedestrians and bicyclists. Aligns bicyclists’ crash infractions with a similar pedestrian one: The bill adds “failure to yield” and “colliding with a bicyclist while failing to yield” infractions, similar to current pedestrian infractions. The penalty for “failing to yield” to a bicyclist would be three points points and a fine of $250. “Colliding with a person riding a bicycle” would be six points and a fine of $500. You can read the full text of the law (B20-0140) on the DC Council website (PDF). The Washington Area Bicyclist Association thanks Councilmember Mary Cheh for her leadership on this bill and the many co-sponsors who supported this critical effort. Washington, D.C., is becoming a national leader in bicycling and this new law helps protect the many new people who choose to use a bicycle for transportation, recreation, or fitness. WABA is a membership-based nonprofit 501(c)3 organization representing the interests of bicyclists in the Washington region. Please consider making a tax-deductible donation online now or joining the organization as a member to help us continue to do great work—like push for bills like the Bicycle Safety Amendment Act of 2013. If youjoin this week during our annual membership drive, you’re eligible for great incentives. WABA has 41-year history of successful local advocacy powered by our members. VDOT is holding a public hearing tonight starting at 6 p.m. at VDOT headquarters to take comments on the Six Year Improvement Program. The program includes road, transit, bicycle, and pedestrian projects in the Northern Virginia District. Search the online database to see a list of all projects in Fairfax County. You can also narrow the search using keywords. 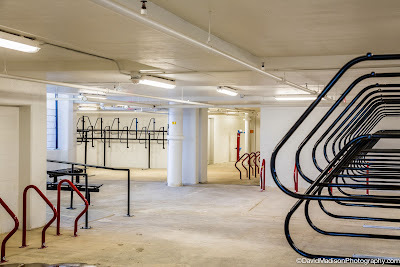 We urge cyclists to attend the meeting to learn about bicycle projects that are included in the plan, and to speak out in favor of dedicated funding for bicycle projects in Fairfax. 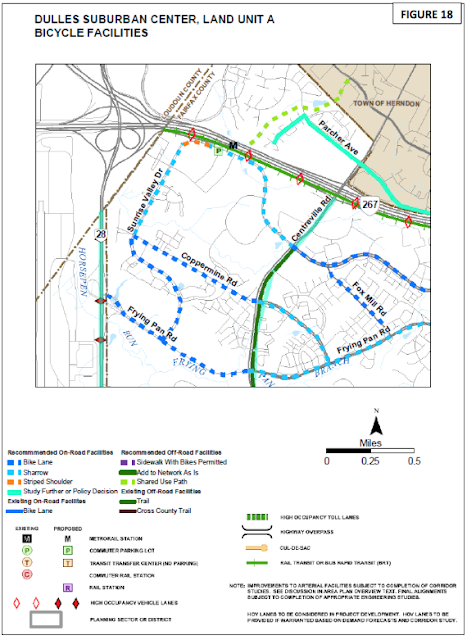 The Fairfax County Bicycle Master Plan was recently completed and funds are needed to implement the many recommendations included in the plan, most of which are located on VDOT-controlled roads. Come join local bike advocates, bike racers, bike commuters and recreational riders to celebrate the exciting launch of our new cycling book, and lend support to Bikes for the World. Cycling has never been more popular in the DC area, thanks to the tireless advocacy of our friends committed to making our community one of the most bike-friendly anywhere. 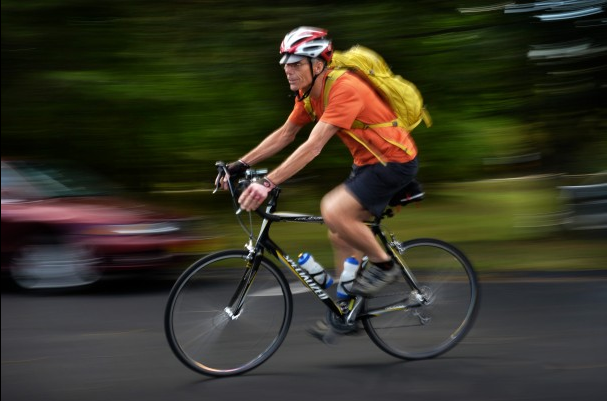 But with the increase in cycling has come an increase in the number of accidents involving cyclists. Whether you have ever been in a bike crash or not, what you don’t know about your rights can hurt you, but what you do know can save you. That’s why Bruce wrote this book, to provide all members of the cycling community with important information they need to make sure their rights are protected. There will be fun people at this event from every corner of the cycling community, so come on out and join us! “It can be 40 degrees in the middle of winter or 90 degrees in the middle of summer — but I am the happiest when I’m out there turning the pedals,” he said. It’s one thing to get from Point A to Point B without a car in Washington — a relatively compact 68.3 square miles. But navigating the region’s far-flung suburbs — never mind crossing through two counties and the District — offers an entirely different challenge. Doable certainly, but not for the faint of heart. “That beats any commute I’ve done,” said Mark Plotz, senior associate and program director for the National Center for Bicycling and Walking. Schantz joins a growing number of workers who have abandoned their cars in favor of bus, rail and bike for their daily commutes. Solo drivers still dominate the ranks of D.C. area commuters, but according to an analysis by the Metropolitan Washington Council of Governments, the number of regular bike commuters in the D.C. region increased by about 11,000 between 2000 and 2011. The uptick is largely fueled by people who live and work in the District. But bike commuting also has increased in popularity in other jurisdictions, including Montgomery County, which opened more than a dozen Capital Bikeshare stations last month. Fairfax County just released a new interactive map tool that shows the locations of funded and unfunded transportation projects. With passage of the new state transportation bill HB2313, Fairfax County has $1.255 billion to spend on new local and regional transportation projects. No maintenance funds were included, so no trail maintenance can be done using the funds. The list of the projects shown on the interactive maps, unfunded and funded transportation projects, including bicycle and pedestrian projects, was released in September. The unfunded project list will be used for deciding how to spend that $1.3 billion thru FY2020. We're evaluating the lists to determine what bike projects are included. We want to compare those projects identified during the bicycle master plan process with the unfunded project list. It's not easy. The initial unfunded list that was released last month lumps bicycle and pedestrian projects together with very little descriptive information. A narrow concrete sidewalk is very different from a 8-10 foot asphalt trail, and yet it's impossible to distinguish between the two in most cases. An updated list was released yesterday at the Hunter Mill Transportation Advisory Committee meeting. That list is not yet available online. It contains more descriptive information about each project that in most cases identifies it as either pedestrian or bicycle. However, the projects are still all labeled as Pedestrian/Bicycle. We've asked that sidewalks be labelled Pedestrian, that trails be labelled Pedestrian/Bicycle, and bike lanes and other bike-specific projects be labeled Bicycle. It's not clear whether the list will be changed. As part of the Countywide Dialogue on Transportation, four public meetings are planned to allow residents to weigh in on the project lists. You're encouraged to attend the meetings and speak out for funding of bike projects. If an important project is not included on the list, ask that it be added (and please tell us about it as well). We'll post more info before the first meeting. 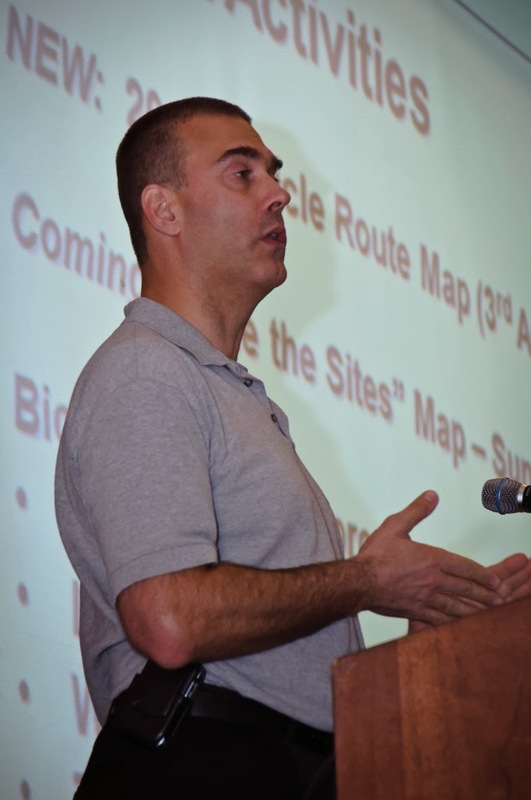 Wednesday, Oct. 30 at 7 p.m.
Monday, Nov. 4 at 7 p.m.
Bike Summit Leaders to Press for Viable, Safe Cycling Options is the title of a good article by Brian Trompeter of the Sun Gazette on the Fairfax Bike Summit to be held on Nov. 2. While Tysons Corner’s many motorists and few pedestrians are familiar with the area’s substantial hills, Tysons also has tree-lined routes that are ideal for cyclists, she said. A new grid of streets in Tysons will allow cyclists to skirt the area’s two major thoroughfares, Routes 7 and 123, said Bruce Wright, chairman of Fairfax Advocates for Better Bicycling. “Route 7 is probably the biggest challenge in Tysons, and so far we’ve lost that battle, I think, in making it a bicycle-friendly place,” he said. 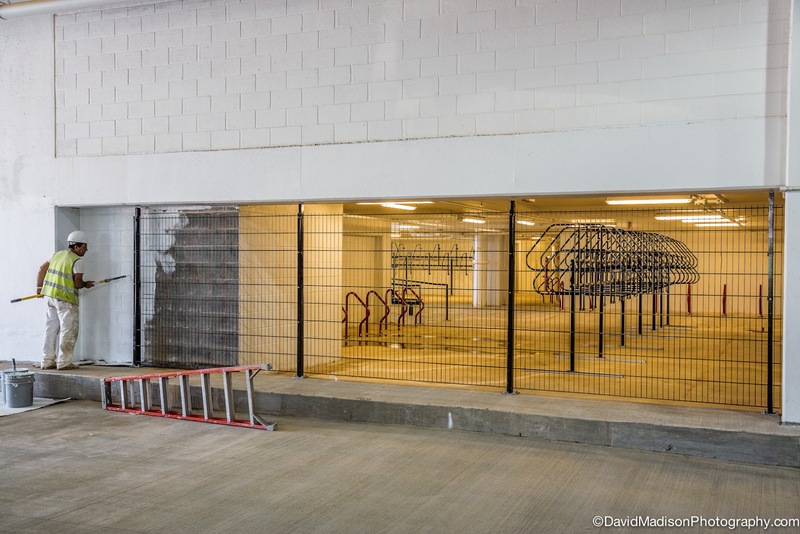 The Board of Supervisors is encouraging development around all transit locations and Tysons Corner will serve as an ideal proving ground for initiatives that promote bicycling, Wright said. “The things that we get right in Tysons will apply to those areas of growth in the future in Fairfax,” he said. Bike use is relatively low in Fairfax County, but anecdotal evidence suggests it’s increasing, Quinn said. She disputed some people’s perceptions that bicyclists do not obey traffic laws, and said FABB leaders encourage cyclists to follow safety rules. “People on bicycles are vulnerable and don’t usually take their lives into their hands,” she said. Wright concurred, adding that motorists might become more accommodating toward cyclists if they shared the roads with more of them. “I’ve found through my travels that when bicyclists are given good, safe facilities and respect, they generally behave better,” he said. We've got a great list of speakers lined up for this year's summit. Most local bike shops will be on hand to display transportation bikes and gear, along with several area bike organizations. Lunch is included in the registration fee. Why not register for the summit today? Bike Maryland continues to work with a number of advocacy groups and leaders to bring bicyclists access to bring their bikes aboard Amtrak. Amtrak, working with the Virginia Bicycle Federation, has agreed to a test of roll-on bike service on the Capitol Limited from Pittsburgh to DC this Tuesday. 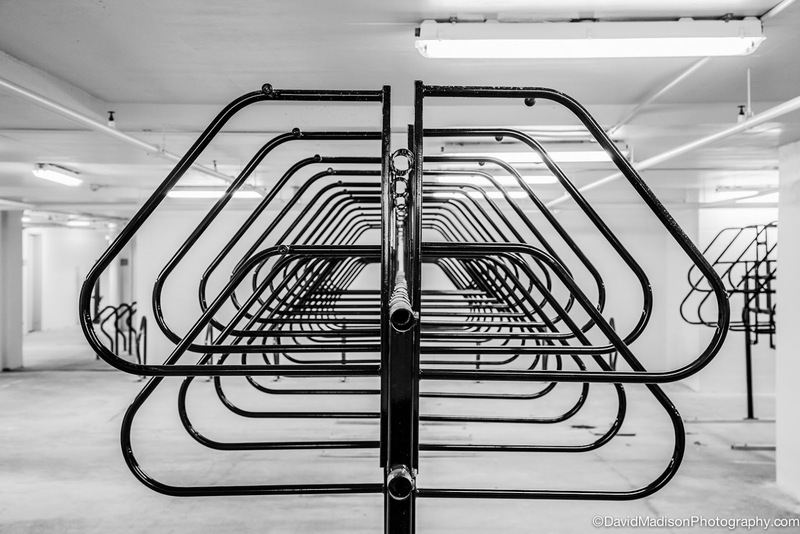 Please note: all of the available bike racks have been filled on the test train but if you would like to see how the racks work, please join for the demonstration at Union Station. The Capitol Limited arrives at approximately 1:10 p.m. Champe Burnley, President of VA Bicycle Federation and a leader spear-heading this initiative states, "We're excited to have this opportunity to work with Amtrak to test roll-on service and look forward to increasing travel options for our citizens." Kudos to Virginia Bicycling Federation for taking the lead on this effort. In August they circulated a letter to FABB and other bicycle advocacy groups asking for their support. Most groups, including FABB, signed on to the letter. VBF's hard working is starting to pay off. Here is more information on the test, from the Pittsburgh Post-Gazette: Amtrak tests bicycle roll-on service on Capitol Limited route between Pittsburgh and D.C.
Amtrak today allowed 20 bicyclists to roll their two-wheelers onto the Capitol Limited train from Pittsburgh to Washington, D.C., in what enthusiasts hope will be a step toward full implementation of roll-on service. "It went lickety-split," said Linda McKenna Boxx, president of the Allegheny Trail Alliance. "I don't think we cost Amtrak a second in dwell time." Amtrak placed a baggage car with racks for six bicycles on the Capitol Limited for the one-day trial. Six cyclists got on in Pittsburgh and off in Connellsville, where six others with bikes boarded. Four bicyclists were to replace them in Cumberland, Md., and four others were to ride the leg from Harpers Ferry, W.Va., to the nation's capital. Amtrak spokesman Craig Schulz could not offer a timetable for making the roll-on service permanent. He said the railroad will seek feedback from participants in the experiment and from train personnel, then try to identify a funding source to retrofit baggage cars with racks. "Part of our mission is to be energy-efficient and a green mode of transportation," he said. "It's something we absolutely want to do." Update: VBF participated in the test. See their report Bike Test on Amtrak’s Capitol Limited to DC. Today the League of American Bicyclists announced the latest round of Bicycle Friendly Communities (BFC). In their blog post Suburbs Join The Rise of Bicycle Friendly Communities, Reston was named as one of the 32 new BFCs. Last year they received an Honorable Mention. "One of the great challenges in envisioning a truly bicycle-friendly America is the need to transform suburban communities," said Andy Clarke, President of the League of American Bicyclists. "Well, that transformation is evidently underway and is being lead by communities like Menlo Park, Calif.; Elmhurst, Ill.; Reston, Va.; and Richfield, Minn."
See the full list of Bicycle Friendly Communities.